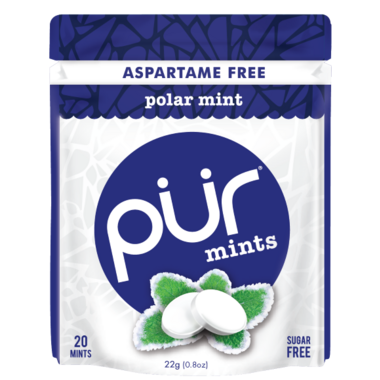 These Pur Polar Mint Mints are an invigorating minty rush of arctic air in a pocket-perfect resealable pouch that kicks aspartame! We love these mints (all flavours but Peppermint especially). We find them helpful when we have a cough. Great taste, super refreshing, I love these mints!! All the flavors I've tried so far are great. A pack of these does not last a long time because they are so good! 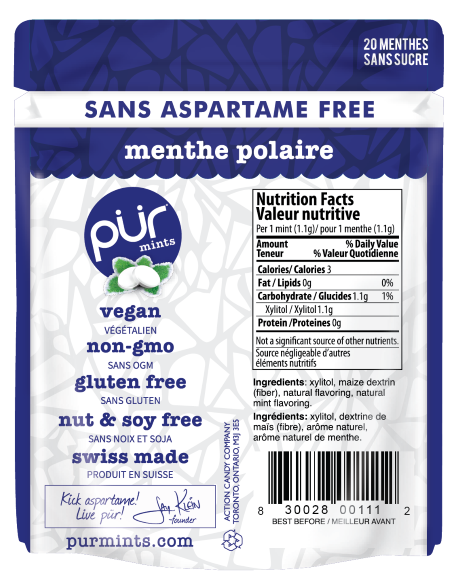 I love the fact that they are sweetened with xylitol, as it's much better for your teeth. Good mints, I wish they were a bit stronger. They can fit into my low carb diet. These are great too! Yum!